This Cygnus Cyclone 30 Patrol is not your average fishing boat. It's really well equipped. 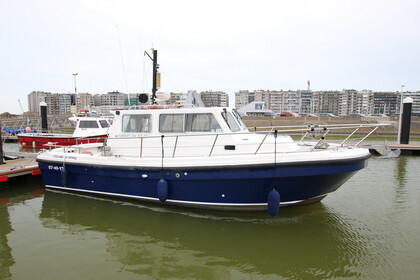 It has a brand new bowthruster, sternthruster, New Raymarine fishfinder, radar, a powerfull Fisher Panda generator, electric toilet, and much more. The Cummins engine delivers 330 HP and it has only 590 engine hours. There is a fully equipped galley with a big fridge. The perfect boat for unforgettable days at sea. Contact us for more information.